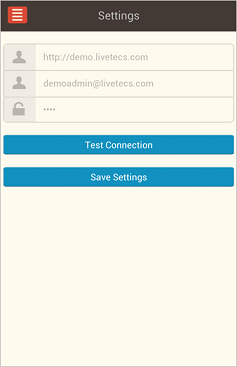 Introduction to TimeLive Mobile App. With the advancement of technology and increase in the use of mobile phones, everyone is looking for ways they can bring the business in their hands. Many of the tasks were performed but building the timesheet for the projects was very difficult. If one is unable to complete the job in the official hours then the maintenance of the extra hours worked outside the office hours was not possible. TimeLive facilitates Timesheet mobile application to overcome this problem and to give the freedom of managing timesheet wherever an employee is. Time tracking using TimeLive Mobile App. Timesheet gives the opportunity to track the time against the projects and Tasks. The updates to the records are circulated in the complete circle of the team involved in the project and notification through the e-mail is also sent. Before TimeLive, it was very difficult to coordinate with other members of the project and a rapid change was witnessed with the introduction of the application. 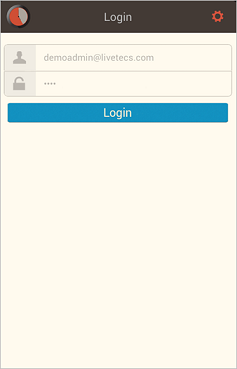 Now the timesheet can be updated and managed anywhere by using the mobile application. Capture your time against your clients, projects, and tasks while on the go. Empower employees to work seamlessly across all devices – desktop, tablet, and smartphone. Allows your field staff to enter time against jobs that have been assigned to them. Timesheets are updated automatically in TimeLive web and assigned to their associated jobs. Timesheet comments as easy as in the web browser. Easily enter time against the selected projects, tasks and activities. Enter data just once and it reflects on all devices and web timesheet. The application requires downloading (Android / IOS), once done it is connected to the account, and any changing in the entries and records are automatically updated on the account. Then from whichever device the employee login, the updated information. After the installation of TimeLive App on your mobile, please launch Mobile App and go to Settings (ICON) before attempting to log in. Under Settings, Change URL to https://timelive.livetecs.com, and change Email ID, masked characters with your Login Credentials. You can Test Connection for credentials confirmation. Save Settings after Test confirmation.